Running a campaign for State Parliament is very difficult, but becoming a father is even harder. 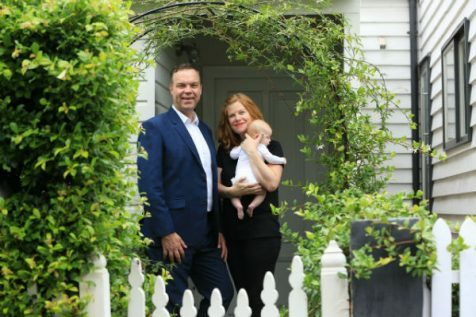 Jamie Parker, the state MP for Balmain and incumbent Greens candidate, recently welcomed his four-month-old daughter into this world at the beginning of his re-election run. We asked Jamie, who lives in Rozelle with his partner, his newborn daughter and their rabbit, what the hardest thing about being a new father is. Those few hours of sleep are now what is fuelling both his campaign and his paternal duties, but Jamie’s optimism still prevails. He sees the two jobs as mutually supportive of one another. This optimism shouldn’t be a surprise as Jamie’s candidacy embraces a forward-thinking stance and future-oriented policies. Renewable, clean energy, efficient waste management and climate-friendly public transport are some of Jamie’s biggest focuses in the upcoming election. He opposes the government’s land-clearing laws, and supports the ban of coal seam gas power in NSW and the ban on campaign donations from the fossil fuel industry, among other things. Now that Jamie has an even bigger stake in the future of NSW, his policies will certainly reflect that. Jamie has been trying to make room for everyone since day one. He supports the extension of the CBD light-rail. He advocates protecting LGBTIQ students from discrimination in the local school. He believes in free light-rail use for school kids. His interest in education will certainly increase now, knowing that his own daughter will be making use of the school systems that he helps improve. Still, the most important thing to Jamie now is not that his new daughter expands his world view. It’s not that he can now relate more closely to the families that vote him into office. It’s not even the election he is intent on winning. It’s that he is a father, and if anyone was made to be a father, it’s someone whose job is to set a glowing example for the thousands who look up to him. Fatherhood is not supposed to be easy. Late, sleepless nights follow long, difficult work days. Failure is not an option, and there is no shortcut to raising a child. We asked Jamie how having a new daughter has changed him. All he said was, “She’s brought a lot of joy to our lives”. Congratulations and best of luck to Jamie and his family.